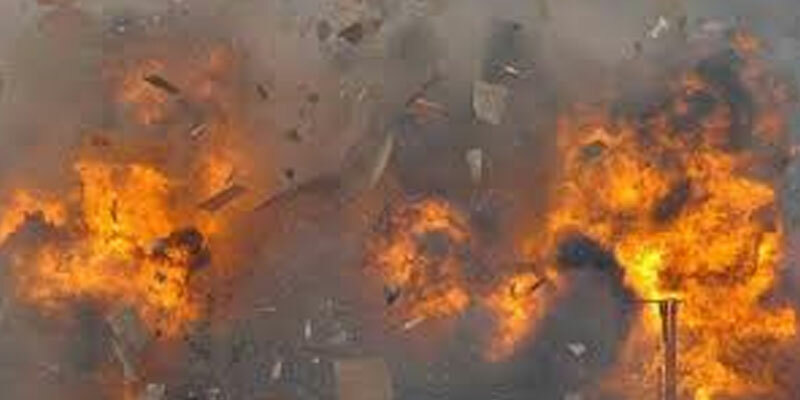 An explosion has struck a nursery in eastern China, with witnesses and police saying several people, including children, were wounded. The blast occurred as children were being picked up from school in the city of Xuzhou in Jiangsu province on Thursday, police said. Photos purportedly from the scene and posted to social media showed children and adults lying on the ground, some of them bleeding. One woman is clutching her child, who is in tears. The force of the blast tore the clothes off some of the people lying on the ground. It was not clear whether the explosion was an accident or was deliberately set. Calls to the kindergarten and local hospitals rang unanswered, AP news agency reported. An official at the police station in Fengxian county told AFP news agency that the explosion was under investigation. Local officials and state broadcaster CCCTV said seven people were killed and another 59 injured, nine who were in a critical condition. It is the latest tragedy to strike a nursery in China in recent weeks.